The 5mph Circular Speed Bumps are an effective, cost efficient solution for cutting traffic speed and for separating traffic from non-traffic areas. What is the purpose of the speed bumps? 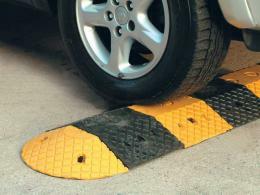 Speed bumps are a necessity in any high traffic area and particularly to slow down the flow of traffic. Speed Bumps are referred to as different names throughout different industries, such as the sleeping policeman, a speed ramp, or a speed hump. Speed bumps are particularly useful for slowing down traffic outside schools, shopping malls, hospitals and before a security boom to ensure a car slows down to a safer speed and watches out for pedestrians crossing the road. The circular speed bumps are quieter than the more traditional concrete humps and are a lot easier on a car’s suspension. Where can speed bumps be used? Anywhere where the flow of traffic needs to be slowed down and controlled can use speed bumps, including outside schools, malls, hospitals, office car parks, before security booms, at events where there will be a high flow of traffic, around bike races to encourage cars to slow down. Circular speed bumps can be placed a certain distance apart to allow for drainage and also for emergency vehicles to drive over easily. Who might use speed bumps? Road developers, shopping malls, schools, housing estates, hospitals, roads with steep gradients that want to stop cars speeding down the hill, places where children play in the road and office car parks will all find uses for speed bumps. The 5mph circular speed bumps from The Workplace Depot are a cost effective and efficient solution for encouraging the slowing down of traffic and also for separating traffic from non-traffic sections. Our products are made from heavy duty, repurposed rubber and are available in high visibility yellow and black or yellow only. 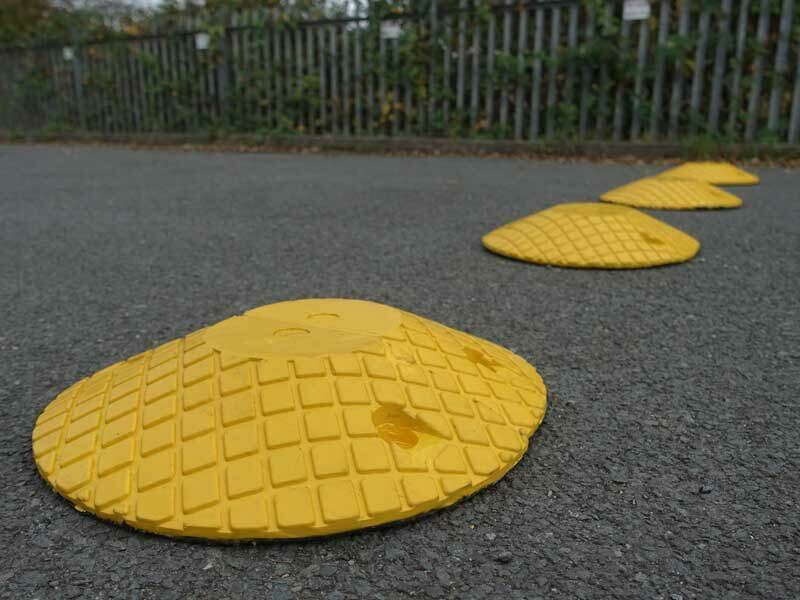 The speed bumps are very quick and easy to install and come with fixing bolts which are suitable for both asphalt/tarmac and concrete surfaces. 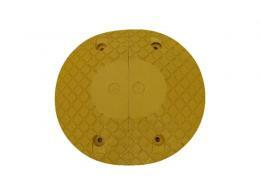 Simply select the desired surface when [placing your order. Order today and you will receive this cost effective traffic calming device with free shipping the next working day. Referring to a friend? 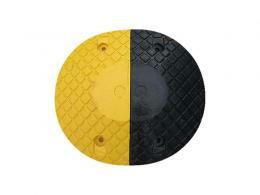 Search Speed Bumps UK and click our website link to be taken directly to our Speed Bump range.